The launch of Sputnik 1 in October 1957 started the space age but the origin of aerospace industry was in 1903 when Wilbur and Orville Wright designed an airplane. The term aerospace is derived from the words aeronautics and spaceflight. Aerospace is the human effort in science, engineering, and business to fly within and beyond Earth’s atmosphere. Aerospace industries research, design, manufacture, operate, or maintain aircraft and spacecraft, resulting in excitement and innovation at every step. They are usually a cooperation of public and private industries. In the United States, the Department of Defense and the National Aeronautics and Space Administration (NASA) are the two largest consumers of aerospace technology and products. Aerospace manufacturing is a high-technology industry that produces aircraft, guided missiles, propulsion units, space vehicles, aircraft engines, and their related parts. It also includes key support systems required for the operation, testing, and maintenance of flight vehicles. Some non-aerospace products and systems which use aerospace technology also fall under this industry. 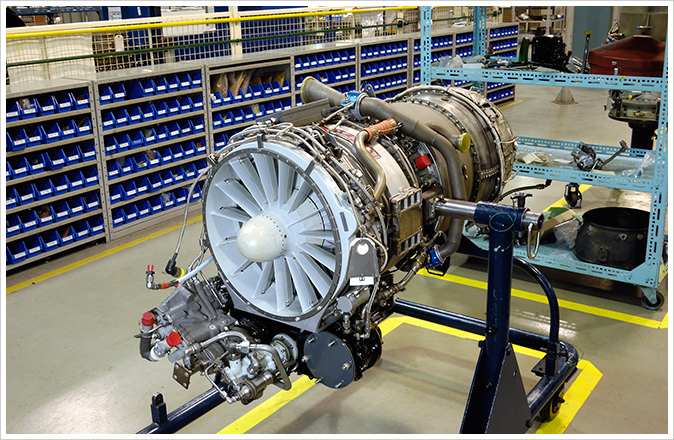 One of the most important components for aerospace manufacturing unit is – material choice. With strength, reliability and resistance also matter. Hence, the material should be best suited for specific requirements. Some are more suitable for aeronautical use than others and some are specifically for aerospace applications. The progress of the aerospace industry is based on the technical advancements. The market has been dominated by some of the top aircraft manufacturers since a very long time. In 1951, American companies produced about 80% of the world’s piston-engine commercial aircraft. Britain understood the needs of for civil aviation. In terms of volume, design, and technicalities the general aviation industry experienced an almost stable growth after 1955. New designs were produced. While some companies are committed exclusively to aerospace, others have branched out. Today, many non-American companies pursue a bigger share of the global market and are in competition with the American dominance. European industries have obtained substantial experience in the development and manufacture of almost the entire range of aerospace systems. Canadian Government recently invested $1 million in aerospace sector. This funding will definitely boost the competiveness of this industry. Canadian aerospace manufacturing industry is strongly integrated into global supply chains and has a mark of its own in the international aerospace market. It is considered as number one R&D investor across manufacturing industries. Placing itself amongst the top three leading players, who produce civil aircrafts, helicopters, engines and flight simulators, Canadian aerospace takes complete pride in delivering nothing but the best. Due to the requirement of millions of individual parts, the product line of aerospace industry is by necessity. Support systems are also required to operate and maintain the flight vehicles. Military aircrafts top the largest market share followed by the space systems and the civil aircrafts. The number of manufactures are obviously limited due to the immense financial demands and technical advancements. Civil aircraft manufacturers produce general aviation aircrafts and heavy aircrafts. The former can be stated as all aircraft activities excluding military, major airlines, or air-cargo flying, including light planes and helicopters used in civil sectors. The heavy aircrafts comprise of commercial and cargo sector flights. Besides the main production, the aerospace industry also manufactures secondary systems such as propulsion and avionics together with other ground-based components required for the support of flight vehicles. Noble Precision takes complete pride in playing a significant role in the aerospace industry, with customers ranging from big requirements to individual component manufacturers. For flawless performance, safety, and quality perfect components are produced with specifications through Noble Precision’s 5-axis simultaneous CNC machining capabilitie. Extreme talent, domain expertise and this state-of-the-art equipment result in achieving perfect, practical, and precise solutions to even the most complex production needs. 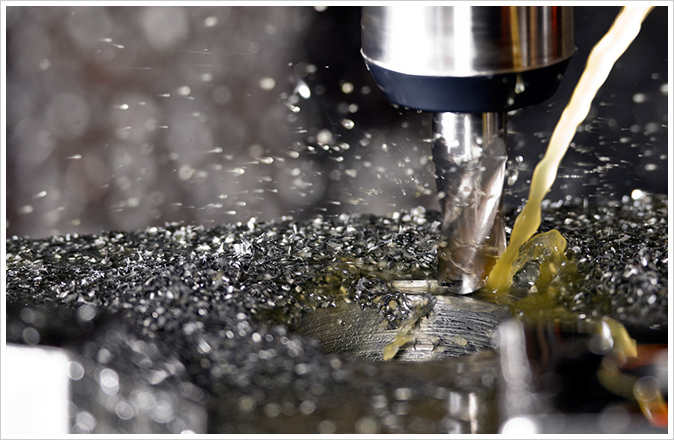 Gun Drilling – Domain experts, experience, and technically advanced systems (multi-axis CNC horizontal drills) to drill explicit holes for even the most sensitive applications make Noble Precision the most reliable and outstanding provider of gun drilling services for the aerospace industry. Mold Making – Noble Precision has complete expertise in developing the simplest frameworks or the most complicated multi-cavity molds, which are capable to meet some of the most difficult specifications. Fabrication and Welding – Fabrication/Welding is an important part of the processes applicable in the aerospace industry. Cutting and assembling of parts is done with these processes. All the unique needs are met with ease and specifications at Noble Precision including metal fabrication requirements when fusion is required. Mechanical Assembling – With its comprehensive technology and domain expertise, Noble Precision has provided customized solutions to the aerospace industries based on their specifications and requirements; and assembling and testing products under one roof bring added advantage for our end users. Checking Fixtures – It is another name of inspection/evaluation. It is as important as manufacturing or producing a part or a component. With the use of 5-axis simultaneous CNC machines, the latest in CAD/CAM software technology, and skilled experts, Noble Precision’s quality assurance team exceeds with pride to deliver high-quality solutions. Noble Precision’s domain expert team and most advanced technology is capable to deliver the best quality components to aerospace manufacturing units. The CNC machining equipment help in providing all the requirements of this sector with exact specifications and perfection. We have a complete comprehensive approach for aerospace manufacturing. The 5-axis simultaneous CNC machining produces simple as well as complex designs. Its multiple direction approach gives complete finish to the products. Producing components with intricate geometries and non-orthogonal features includes in the facet list of this machine. Noble Precision is an innovative and experienced products and service provider using extremely advanced CNC machines and quality materials for flight vehicles and other aerospace manufacturing units’ requirements. One or more service requirements – No problem! Each is met with complete perfection and specifications. Challenges increase efficiency at Noble Precision. Know more about us and get the best solutions for your requirements. Call the precision manufacturing specialists – Noble Precision – at 647-499-7569 or Contact us to schedule a complimentary consultation on how our technologies and services can support your specific requirements.